The La Jaougotte campsite welcomes you with its new pool in 2017. 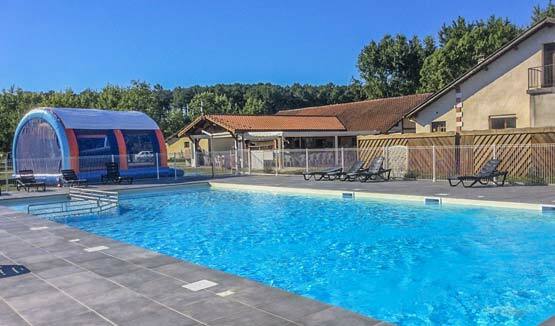 So, in addition to being close to the beach (7km) and the lake (3km) you have a pool within the campsite. It deepens from 80cm to 1m50 and there is also a wading pool for children.